Easy to assemble using fasteners provided. Prime cold rolled steel construction. Includes polished 5/8" dia. 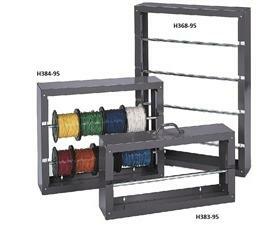 steel rods, making it easy to store different sized spools on the same rod. H368-95 can accommodate up to 10" dia. 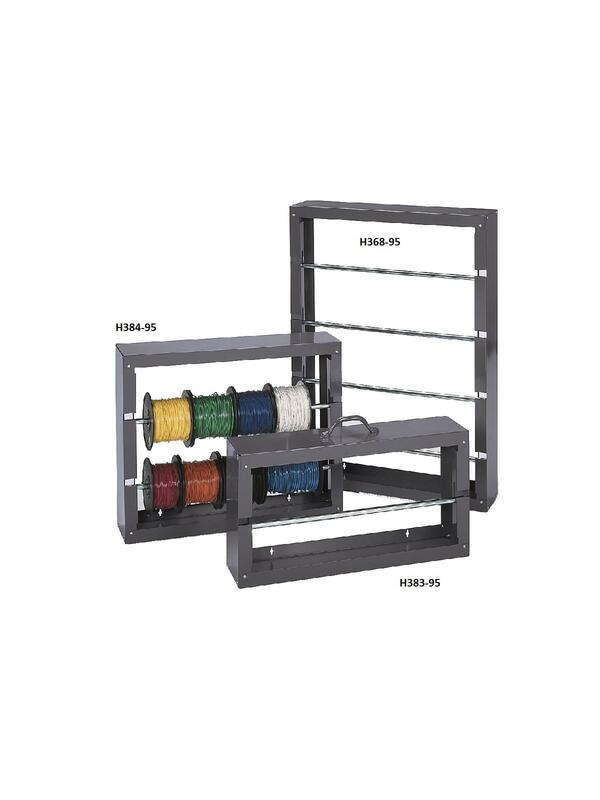 spools. Punched side panels allow for quick spool changes and the supplied ruled decal makes it easy to cut wire or tubing to the proper length. 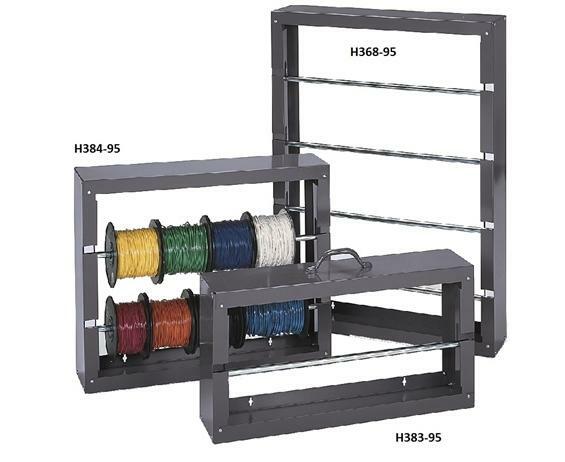 H383-95 has a handle for easy transport. Keyhole slots are provided for wall mounting. FOB Shipping Point.